All three of the newbies reached the point of being able to work at reception. As promised, I think I should give them names soon. I decided to call the three of them over to the dungeon’s boss room to name them. Well, though I could just have it done with saying, “Ah, here are you guys’ new names,” in the inn, this seems to be something very important for monsters. I’m a dungeon master that can read the mood after all. The production value is important. If I grandly perform the naming ceremony like this, they’ll definitely pledge even more loyalty. Therefore, I decided to remodel the tasteless stone boss room. First is the throne. I placed importance on its appearance since it’ll rarely be used to sit. I made the throne using stone that gave a profound feeling and I made it around two steps higher than the ground, that way invaders could be looked down on even while sitting down. It wouldn’t feel off even if a demon king sat in it. Because stone isn’t a luxurious material, another important thing is that I wouldn’t look out of place even if I sat on it. After that, I placed a stone runner rug that went straight from the entrance to the throne… Well, since the floor was already made of stone, I just had to arrange it a bit… Yep, there’s just a difference in how much the pattern is used, but it’s turned into something like a temple, I guess? It’s mostly grey though. Then I made the steps for the throne. Coming this far, I also fixed up the walls and added some pillars. They’re unnecessary since they’re just decoration though. Again, it felt kind of like a pantheon temple… how should I say… authentic? Authentic. I guess. In the end, I made some statues of golems that were holding up weapons by growing them from the wall. Just in case, I also equipped them with blade golems so they’re practical goods. Fuu… I only exerted myself since my creative urge welled up. Ooh, dragons huh. Dragons definitely are cool. Since I’ve seen a living red dragon, maybe I should try out making a dragon golem next time? I’d love it to spit fire or something if possible. … Aah, it’d definitely be weak compared to the real thing though~. The best material I can use right now is just iron. Thinking about that reduces my motivation. Though well, it might be good to try and make it as practice in preparation for the future when I can use better materials. The current boss is an iron haniwa golem I finished the other day… let’s make the next boss an iron dragon golem. Like that, I had the golems form lines and began the naming ceremony. The dungeon [Cave of Desires]. The first above ground floor had the entrance, traps, goblins, as well as some treasure chests. There were wandering golems as well as the magic sword test room in the first underground floor, the second being the [Multi-Floor Labyrinth]. When passing through the labyrinth, one would ascend. It goes up to the second above ground floor in one go. The second above ground floor is the [Riddle Area], where wisdom and knowledge are tested… no intruders have went beyond this yet. When one passes the [Riddle Area], they would descend from the second above ground floor to the third underground floor with the [Open Ceiling Spiral Staircase]. The third underground layer has a unique golem… the first generation boss’ normal haniwa golems and the like, it was a [Golem Warehouse Area] that I had irregular prototype golems patrol. There are magic sword blade golems placed in chests here. After breaking through all of those, there’s a fourth underground floor… the [Boss Room Area]. Right now, at this time, the [Boss Room] was very crowded. 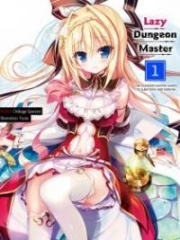 … Though I say that, other than the armored golems that were lined up beautifully, there’s just me, the dungeon master, Rokuko, the dungeon core, and the slaves Meat and Ichika—oh, and that pet phoenix (chick), Feni. As for what Rokuko was wearing, it was a white dress that looked great on her slender body’s shape. I made that guy modelling after Haku-san’s dress, it’s Rokuko’s favorite. The white phoenix (chick) on her shoulder matched it nicely. Meat and Ichika were wearing their maid outfits. They weren’t their usual ones but brand new ones. In other words, everyone was dressed up. Of course, my appearance is like that too. I am sitting on the throne. Rokuko stood right by my side, with Meat and Ichika standing on either side of the aisle one step down. Standing on both sides of the stone path coming from the entrance to the throne, the armed golems had formed ranks in intervals, lining up and holding their swords up. The image of [Meeting the King]. Well, a dungeon master is kind of like a king so it’s probably not wrong. I used [Deployment] on the three in front of the door. With this, preparations are complete. I told them that I’d be doing their naming ceremony beforehand, but I didn’t tell them that I’d do it so elaborately like this. Kukuku, I wonder what kind of faces they’ll have. When I called out, the boss room’s doors… massive double doors that also had gold leaf, the golems opened them. I could see the three girls that had been standing in front of the door—they were surprised just for a moment before immediately entering the room with serious expressions… Hooh, maybe I should do something? They kneeled in a row, with Alpha the vampire in the middle, Beta the silky on the left, and Gamma the apprentice witch on the right. I put strength into my gut to make my words as strong as possible, speaking proudly. This is getting fun. By the way, since there isn’t a ceremony like the naming ceremony to begin with, there’s no etiquette for it either. Well, [When in Rome]. I stood up slowly while receiving assistance from the full body armor golem, unsheathing the sword at my waist. Made with potion bottles, the sword had a transparent blade. The sword somehow reflected blue light, so it looked really mysterious… It’s offensive power? It’d break if it got hit. The sword would, that is. It’s for etiquette, etiquette. I said ‘thee’! Hahaha. Well whatever, I was going with the flow. … Yep, even though you’re really happy, somehow… sorry? It was such a fitting name. Her bearing is more gentle than Alpha’s… err, Rei’s. No, maybe I should call it more graceful? Now for the last one. Ah, yep. Beta, now Kinue, is more gentle… and this one is more carefree. Definitely. He name is because she’s a witch. Well everyone is named with relatively irresponsible names, but since it’s from another world I probably won’t be exposed. Rather, Rokuko would probably be happy knowing that the names came from another world. That’s all for the naming ceremony. I had it so that the golems would applaud when I finished up in a loud voice. Now then, the closing words are important… wonder what I should say…? At that moment, the golems’ solid hands’ applause sounded like a storm. Dangit Rokuko, she took away the good part! Footnotes: He says it’s silver. Then says that he crushed gold coins. [蔦のレリーフ] -> [ivy relief] -> [gold leaf] …? I assume I’m missing something here. From what I can tell, [蔦のレリーフ] can also mean silver leaf…? Confused. Rei = Zero. Silk (kana) -> Kinu (Silk in kanji) Yeah, so I couldn’t think of a way to show this in English. 練ってる -> Netteru -> Neru -> Nerune (Stir and stir) She uses ‘master’ that implies ‘teacher’.